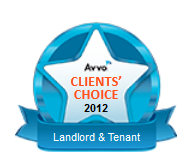 Tamara Cross, Managing Attorney at The Cross Law Firm, APC based in San Diego, Ca received the distinguished Client’s Choice 2012 Award by Avvo.com. This award is given to the top attorneys in each practice area within California. Avvo empowers consumers by rating doctors, dentists and lawyers, and having these real professionals answer their questions. Avvo profiles contain helpful information including experience, background, disciplinary history, and reviews from patients and clients. Information meets guidance in the editorial Avvo Rating. The rating is calculated using a mathematical model that considers elements such as years of experience, board certification, education, disciplinary history, professional achievement, and industry recognition-all factors that are relevant to assessing a doctor, dentist or lawyer’s qualifications. Contact San Diego Landlord Attorney Tamara Cross at The Cross Law Firm for a reduced-fee consultation today. Tamara Cross, Attorney at The Cross Law Firm, APC is presenting the Western Manufactured Housing Communities Association’s (WMA) August 2011 MCM Seminar discussing pools, parking and other tricky issues that managers and owners of mobilehome parks throughout California face. 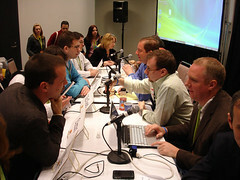 The seminar will take place at the Hilton San Diego Mission Valley on Thursday, August 18, 2011. “This seminar focuses on topics that demand a lot of attention from management. These are also the topics that can get management into the most trouble, namely discrimination. Make sure to attend this seminar to learn the do’s and don’ts when tackling these issues. Please visit our website for more information about California Mobilehome Park Attorney Tamara Cross. Attorney Tamara Cross, Lawyer in San Diego of The Cross Law Firm, APC presents at the WMA’s (Western Manufactured Housing Communities) April MCM Seminar on April 21st, 2011 at the Hilton San Diego Mission Valley. The way you prepare and serve your residency forms can make or break you in court, or even better, keep you out of court if you do it right at the beginning! Learn from management and legal experts on how to properly prepare key forms, and why the attention to detail is so important in order to see the appropriate outcome. Seminar attendees will receive a complete set of WMA residency form samples, which include examples and tips (an incredible value!). awards this designation to community management professionals who have distinguished themselves in the areas of experience, education, and ethical conduct. To qualify for the MCM designation, a candidate must complete courses in the MCM Accreditation Program totaling 60 hours, and pass the corresponding exams. This can be accomplished in a three year period if all courses offered are attended. MCM participants can login and track their progress and view their course history on our website. Successful individuals in our industry understand that staying informed on regulations, laws and best practices is one of the most powerful tools to protect assets and avoid litigation. Under current law, owners of mobilehome communities are required to distribute to all homeowners a copy of the Mobilehome Residency Law (“MRL”) on or before February 1 of each year when there has been a significant change to the MRL. Now beginning January 1, 2011, community owners have a choice. They can either distribute a copy of the MRL to all homeowners, as they did before, OR they can notify all homeowners in writing by February 1 of each year that there has been a significant change in the MRL and notifying the homeowner that he/she can request a copy of the updated MRL from the community management at no charge. Upon a request by a homeowner, Community owners and management are required to provide a copy of the MRL to the homeowner within 7 days of the request. The request by the homeowner may be verbal or written. This new change in the law could save community owners time and money. The current MRL is about 20 pages long and copying and distributing the MRL to all homeowners by February 1 can be expensive and time consuming. With this new law change, community owners only have to provide copies of the updated MRL to a homeowner that requests a copy. Please remember that this new “written notice of the change in the MRL” and opportunity to request a copy must go out to each homeowner on or before February 1 of each year where there has been a significant change in the MRL from the prior year. Since there is no definition as to what constitutes a “significant change in the MRL,” it is advised that community owners send this notice out every February 1, regardless, allowing homeowners to request and obtain a copy of the new MRL each year. As a word of caution, if you decide to send out a written notice to the homeowners of the MRL change instead of the actual MRL, please make sure your management office has an adequate supply of the updated MRL copies on hand to give out to requesting homeowners within 7 days of the request. For an explanation regarding what this new written notice about the MRL change and request should include, please contact our offices for a free sample notice. A link to the 2011 Mobilehome Residency Law can be found on the resources page of The Cross Law Firm’s website. For other questions regarding this law change, the MRL or a mobilehome legal question, please contact Tamara Cross at The Cross Law Firm, APC for assistance: (800) 859-2064 or locally in San Diego at (619) 296-0567.